All nurses should be required to take college-level micro/macro economics. Trying to teach nursing students the basics of health policy is almost impossible if they are not comfortable with economic terms and concepts. I was reminded of this recently, when in a fit of fall office cleaning, I finally gave away my copy of Samuelson’s economics textbook. It was stuffed full of class notes, health economic diagrams and highlighted paragraphs. Two quarters of economics were required for my public health degree, and both were taught by a passionate German economist who waved dollar bills around his head for effect. I begrudgingly signed up for his course, found it—and him—fascinating, and it has been the single most useful class I’ve ever taken in any of my health care programs. That and a water and sanitation class: the basics of health care. Economics of health care finds its way into my mailbox. My home mail these days mainly consists of utility bills and glossy medical newsletters by local hospitals. 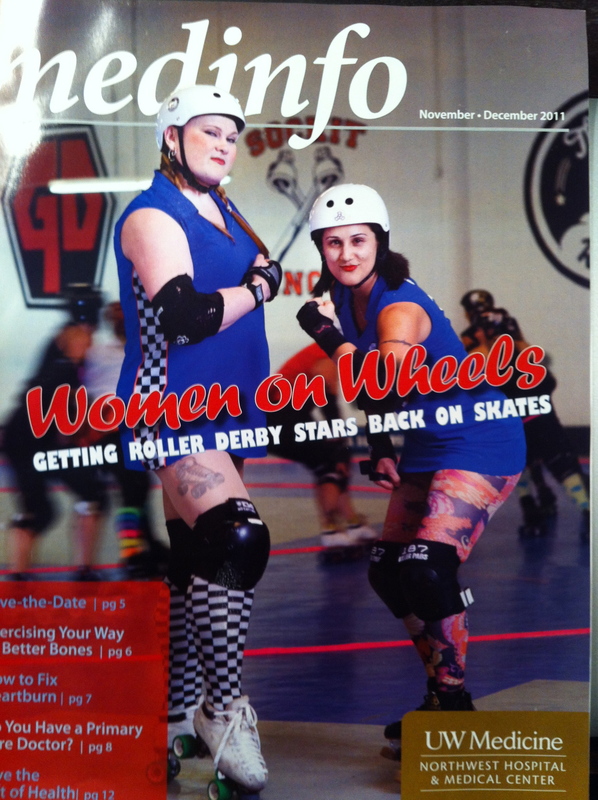 The cover of the latest one (photographed here) is oh so Seattle, showing two smiling but scary looking roller derby women. I’ve met one of the women (off rink thankfully) and she is quite nice in person. Inside the hospital newsletter/magazine is a two page article about the women’s roller derby team, the various sports injuries team members have endured, their team orthopedist and the orthopedic surgical ‘cures’ performed at the hospital. I get similar hospital newsletters from two other local hospitals I’ve been a patient at. All three highlight the hospital cash cows of cardiac surgery, cancer care, and orthopedic surgery (none of which I’ve been there for). I’ve been successful getting off the mailing lists of most all major catalog/merchandise companies, but have not been able to stop getting these hospital newsletter/magazines. It is oh so NOT Seattle, being decidedly un-green and tree/salmon-killing. I know that I am bombarded with these hospital newsletters because: 1) I have decent health insurance, 2) I’m getting towards the age when cardiac/cancer/ortho surgeries may be needed, 3) I might be crazy enough and able to afford to make a monetary donation to a certain hospital unit/program, and 4) perhaps because I am a health care provider and can recommend certain hospitals to my friends and relatives. Most experts on hospital advertising agree that the main purpose of such advertising is brand recognition—and that hospital advertising increases (as do the costs obviously) as competition increases for insured/affluent/paying customer-patients. If you ask hospital PR people (I have), they will say their newsletters are an important patient education/health literacy effort—a public service of sorts. But when you analyze the content of articles and print ads, this claim doesn’t hold up. Most are not written or reviewed by clinically-knowledgeable people, they play up emotional content (her heart was fixed and she can now play with puppies and kittens and grandchildren! ), and they exaggerate benefits/leave out adverse effects of surgeries and other treatments. Hardly real health education. Most industrialized countries ban or severely restrict health care advertising. A fascinating underlying reason for hospital/physician advertising (as I learned from Paul Levy’s blog post on this topic), is that it strokes the egos of physicians and senior executives of hospitals. The doctor egos need stroking because they make money for the hospitals and doctors are free agents and can move to a different/higher paying hospital. Funny how there aren’t too many hospital ads or newsletter articles highlighting nurses. The final reason that health care economics is on my mind is the excellent article in today’s Seattle Times by health reporter Carol Ostrom: “ER Building Boom is Wrong Prescription, Experts Say.” In this article she discusses the economic and regulatory issues behind our Seattle-area resort-spa-emergency department craziness—a problem not unique to our region. If you want to understand health care, take or review Economics 101. Posted on November 27, 2011 December 4, 2011 by josephineensignPosted in UncategorizedTagged Carol Ostrom, ER (TV series), Health, Health care, Hospital, Medicine, Seattle, Seattle Times. That is very interesting what you say about those hospital information newsletters. We also get them and I have also noticed that there is usually no mention of nurses, even though they comprise the largest numbers of workers at the hospitals! I hadn’t realized the financial incentives involved. Thanks for sharing this information! 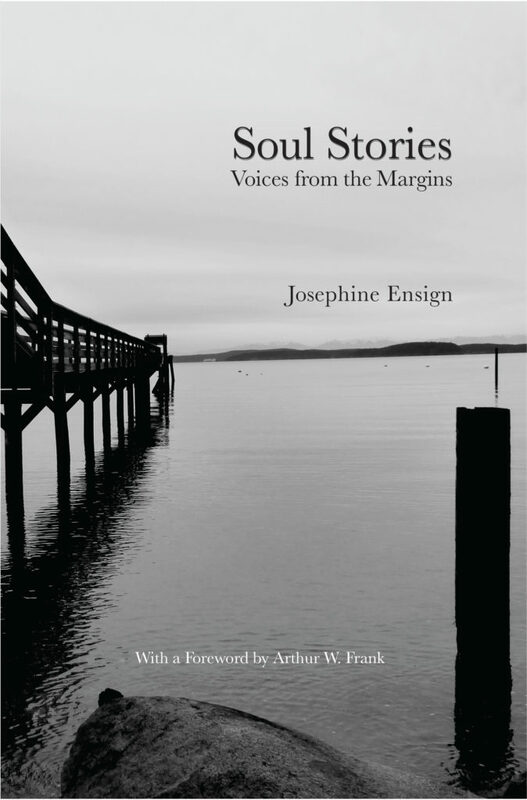 This is great, Josephine. I never thought too hard about those magazines I get. Also it came right after I read this article in Forbes http://www.forbes.com/sites/rickungar/2011/12/02/the-bomb-buried-in-obamacare-explodes-today-halleluja/ about a clause in the new health care law that will prevent hospitals from charging for costs, like publishing magazines, that are not part of delivering actual health care to patients!